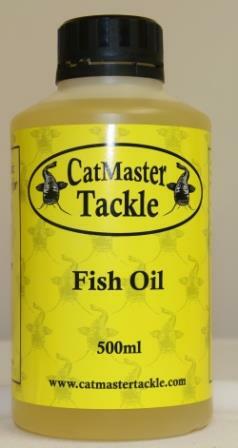 Specially blended to enhance baits whether it be boilies, meat, pellets & even fish. Soak or inject your bait with our Enhancer for that added extra edge. Containing a scientifically balanced blend of amino acids, stimulators, enhancers along with other attractors specially formulated for soaking hook baits. 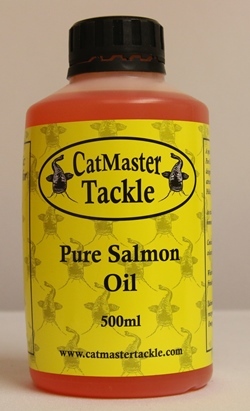 CatMaster Tackle Mackerel Oil 500ml. 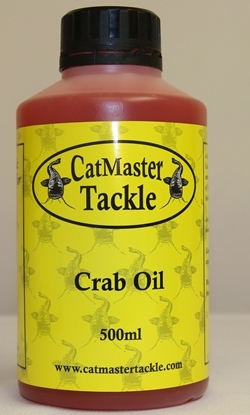 Our Crab oil is of the highest quality available. Having only natural products used in its manufacture. 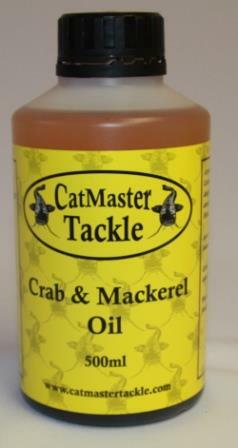 Our Crab & Mackerel oil has been field tested over a period of time with amazing success. Our Fish oil is of the highest quality available. Having only natural products used in its manufacture. 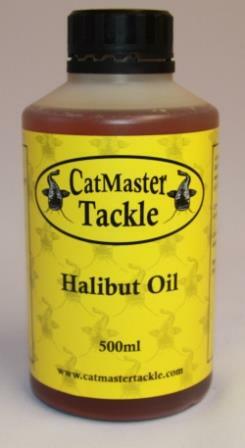 A specially formulated Halibut Oil designed to enhance the attractivness of pellets. Our Halibut Oil has been field tested over a period of time with amazing success. 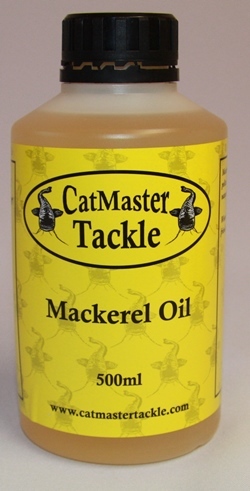 A specially formulated Mackerel & Krill Oil is designed to enhance to attractivness of our Mackerel Hair Rig Friendly Pellets along with that of other companies pellets. 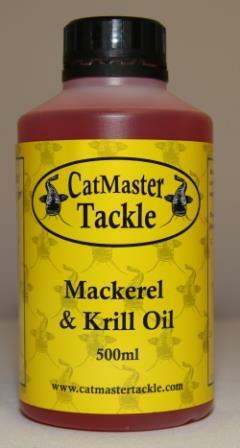 Our Mackerel & Krill oil has been field tested over a period of time with amazing success. 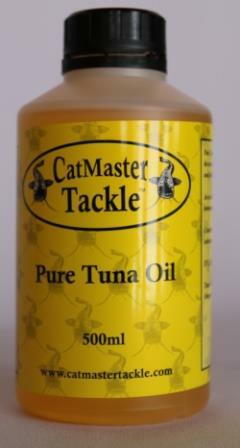 A specially formulated Tuna & Krill Oil is designed to enhance to attractivness of our Hair Rig Friendly Pellets along with that of other companies pellets. Enzyme treated soluble fish protein which results in a amino rich and very thick syrupy liquid having a strong fishy aroma, making it the perfect addition to boilies, paste and pellets. 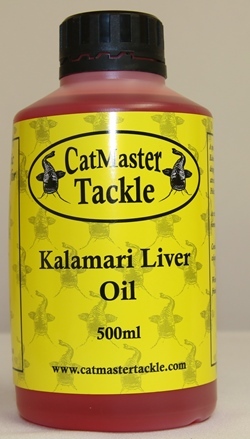 Can be used as a glug or bait soak.